For a growing number of brands, the story of standout content marketing success in 2018 might just sound like a podcast. Though podcasting certainly isn’t a new medium, it has come into its own as a content platform over the last few years. With the success of high-profile series like Serial and S-Town, highly successful podcast networks like Wondery and Gimlet, and the growing legitimization of audio content as a vehicle for high-caliber performers and other creative talent, consistent audio storytelling can offer businesses the chance to win massive audience attention for their brand messages – and do so in a way that many feel to be less “markety” than other scripted content formats. Listener growth is strong: The percent of monthly podcast listeners has increased from 21% to 24% of the population year over year. Adoption is surging among younger adult audiences: Forty-four percent of consumers age 18 to 34 consume at least one podcast a month. Podcasts capture – and sustain – the audience’s attention: Fifty-five percent of podcast consumers listen to most of each episode they download, and 75% listen to more than half of each episode. And, while the format only accounts for 2% of the audio content consumed by listeners, it is the No. 1 audio source based on time of consumption (30%). 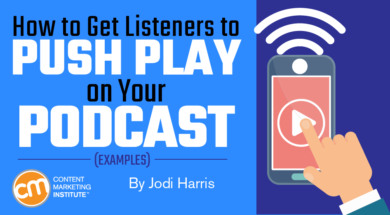 It is ideal for on-the-go consumption: Like most mobile-friendly platforms, podcasts can be streamed anytime, anywhere; yet they can also be easily downloaded and saved for offline consumption. Furthermore, they require a different kind of attention than visual or text-based content, making them an ideal way to engage listeners at the gym, in a car, doing chores, or at any other time when they might be in the mood for a good story or new knowledge but need to keep their eyes focused on other tasks. It is highly monetizable: In addition to providing a way to build lucrative subscribed audiences, podcasting can be a strong revenue-generation play for content creators, especially those open to third-party sponsorships. For example, during PNR’s 211-episode run, Joe estimates the podcast generated approximately $500,000 in direct revenue for CMI via sponsorship support. More broadly, according to Bridge Ratings estimates reported by Inside Radio, overall podcast ad revenue is projected to reach $534 million by 2020. But, despite its strong growth, plethora of marketing benefits, and tremendous creative potential, marketers have been slow to incorporate this format into their content marketing mix: According to CMI’s 2018 Benchmarks, Budgets, and Trends research, only 17% of B2B and 13% of B2C brands leverage podcasts. There’s still room for players on the brand side to start planting their flags in podcasting’s pay dirt before the market becomes too saturated for early adopters to sustain an advantage. Be your inimitable (brand) self: As this Entrepreneur article reminds us, just because this growing medium is expanding the parameters of branded storytelling doesn’t mean that brands should abandon their existing identities or depart from their overarching content missions. Branded podcasts work best when they perfectly align the story with a familiar brand voice and tone. Be ready to invest time and budget: Though there are plenty of ways for budget-conscious brands to podcast on a shoestring, to make a big splash, be prepared to shell out some cash. In an interview for Digiday, Ad Results Media President Russell Lindley estimated that a full season of a branded show requires a mid-six-figure investment, and asserted that one with high production value can cost quite a bit more. Publish consistently: As with all content formats, it can take some time for your business to develop a strong, loyal podcast audience. Once you have earned the attention of some loyal fans and followers, make sure you don’t disappoint them by failing to deliver what they are listening for. Be on time, every time. Satisfy, don’t submerge: While you might love 60 minutes of brand talk in a clip, that might be too much to ask of a casual podcast listener. When starting, consider instituting realistic time constraints (both per segment and per show). Once you find your storytelling groove, you can extend specific shows when their stories are just too juicy to rein in. Create recurring segments that audiences can connect with: As Jay Acunzo explains, giving your podcast a reliable, repeatable structure provides listeners with a sense of what to expect and can help make the ideation process easier on your content team. Experiment with a few micro-themes or conversational threads within each show; when you find one that really sticks, make it a regular feature. Place your faith in a sound process: Podcasting can be a complex process, and production delays and complications are common. Establishing a smooth workflow and sound editorial processes will make the process easier to navigate and can help your team stay on schedule – and on topic – even when glitches occur. For example, Jay uses a Trello board to guide the planning and production process for his weekly Unthinkable podcast. Since Joe’s recent post on How to Develop and Grow a Successful Podcast already covered the strategic and technical side of the podcasting equation, I thought I’d close the loop by sharing some inspiring creative examples from brands that are making the most of the medium. Call it Microsoft’s pre-emptive strike against the bleak, tech-driven futures depicted in an average episode of Black Mirror. 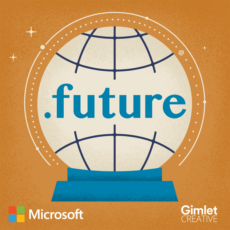 Last year, the computer technology brand partnered with podcasting network Gimlet Creative to produce .Future – a podcast about the technologies increasingly becoming part and parcel to our lives, and how the decisions we (as individuals, and as a society) make about them now might affect us in the future. Microsoft’s Head of Influencer Relations Doug Dawson has characterized the show as a way for the brand to go beyond the confines of an ad, enabling it to participate in and share meaningful, in-depth discussions on technological trends. By presenting practical insights and information through the lens of choice and delivering them through a highly accessible and conversational format like podcasting, you could say Microsoft has provided an important public service. .Future helps consumers gain a better understanding of the complex technological landscape now so they can avoid becoming unknowing victims of its consequences down the road. 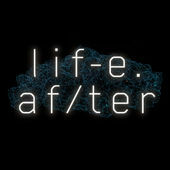 Following on the remarkable success of its The Message podcast, GE made its highly anticipated return to the medium with LifeAfter, a new sci-fi themed story aimed at promoting the company’s digital twin technology. GE has described the podcast as a “Her meets Ex Machina” AI adventure, pondering the question of what happens to our digital identities after we pass, and the role AI can play in the grieving process. Though the series concluded in early 2017, it’s reasonable to assume that this will not be the last foray for GE into the world of podcasting: When you get world-renowned astrophysicist Neil deGrasse Tyson to praise your content as, “a brilliant series” – and to host a discussion on the real science behind your science-fiction story – you know you are doing something right. On a more lighthearted note, there’s the story of how Concord, California-based Hop Grenade Taproom and Bottle Shop used podcasting to turn its humble craft brewery and tavern into a media and marketing powerhouse. The business was creating a ton of beer-centric content for its website when its owners built a broadcast studio on the premises and started recording livestreaming radio, podcasts, and videos featuring professional and home brewers from around the globe. Operating under the name The Brewing Network, the small business now functions as a fully operational media company – and a self-supporting one at that. Today, The Brewing Network simultaneously produces as many as eight regular podcasts and other shows on various beer-related topics, supporting them with a donations page and an affiliate program, as well as ad-space sales. It’s an impressive example of how even small, local brands can use podcasts to promote their offerings, build an audience, and open new lines of revenue ­– all in one fell swoop. While you may think of podcasting as primarily a B2C play, there are plenty of ways B2B businesses can benefit from the format. Take the McKinsey Podcast. What makes this a standout podcast isn’t just the conversations with notable experts on critical business and management topics – like driving growth, understanding new business ecosystems, or promoting sustainability. It’s how well they are presented, packaged, and integrated into the company’s larger content marketing strategy. 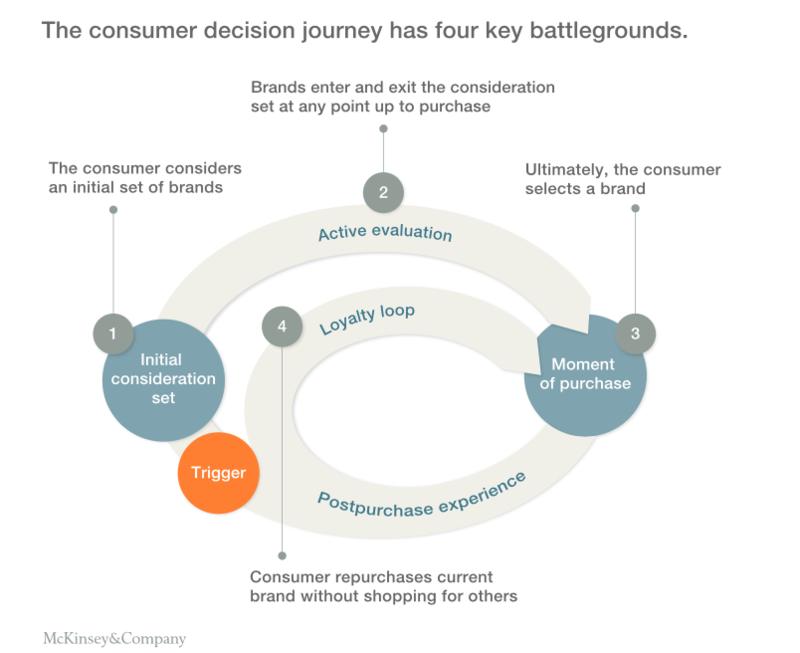 For example, though the episodes themselves are somewhat brief (around 22 minutes), McKinsey extends the experience by publishing detailed transcripts and including data visualizations of McKinsey research, which adds valuable context to each story. Edge of the Web is another strong example of how an investment in podcasting can pay off for B2B businesses. Created by Site Strategics, an Indianapolis-based digital marketing and web development firm, the Edge of the Web podcast delivers high-quality audio content to marketers and business owners with a show that features need-to-know news, trends, and interviews with top-notch marketing talent. After moderate early success, the company upped its podcasting investment by building its own broadcasting studio in 2016, enabling it to push past some of the creative, promotional, and logistical limitations it had been experiencing while renting studio space at a local radio station. With greater production efficiency, the Site Strategics team spent more time with guests, increased the variety of discussion topics, and expanded the show onto Facebook Live and other streaming platforms. One year later, the company was thrilled to report that its creative and strategic changes led to an increase in podcast downloads of 385% and a boost in website traffic of 145% – impressive results that helped earn the company a 2017 Content Marketing Award for Best Podcast/Audio Series. 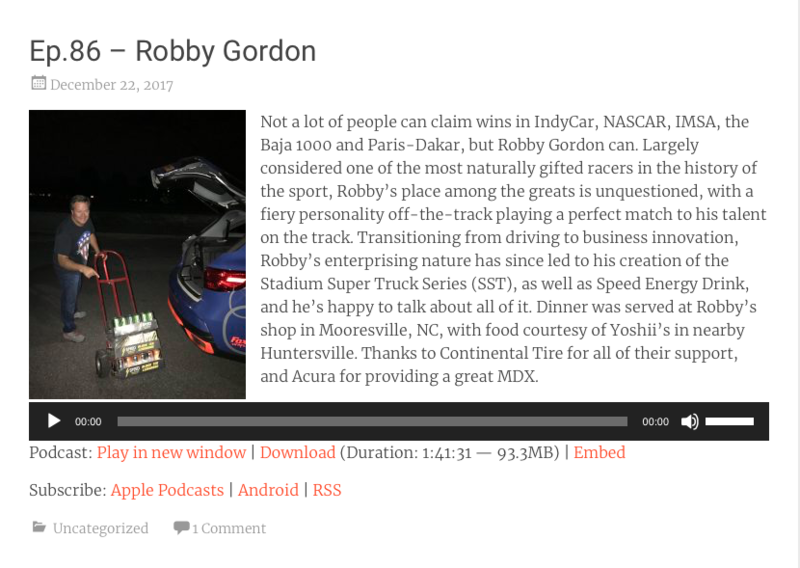 Another favorite among the Content Marketing Awards judges was Continental Tire’s Dinner With Racers podcast – a creative effort that really fired on all cylinders. Continental was looking to create lifestyle content to extend its exposure in the motor sports category while influencing tire purchases more broadly and more organically. Enter its partnership with Ryan Eversley, factory racer for Acura, and Sean Heckman, partner in TMB Creative. The duo embarked on a 30-day, cross-country road trip, stopping to have dinner with some of the biggest names in and around racing, including drivers, engineers, team owners, and racing media. But their chats weren’t limited to car talk. To help expand the show’s audience beyond racing and motor sports fans, Sean and Ryan steered the conversation down some unexpected roads, including what it’s like to step on an IED in Afghanistan, who is the best at cheating, dance pants, and Olympic tryouts. The resulting human-interest stories tapped into a broad range of audience passions and drove some killer content marketing results along the way. Season One hit 150K downloads in 9 months and, by Season Two, the podcast had reached the 400K mark. Even better, Continental was able to directly tie Dinner With Racers to the sale of 11 sets of tires thanks to fans crediting the show as their purchase inspiration on social media. Though podcasts can require extra time, effort, and budget, with the right strategy and a little creative ingenuity they can bring big content marketing benefits to just about any business. Do you have a favorite branded podcast on your regular playlist? Let us know what you’re listening to in the comments. Think you have a top podcast or other content marketing effort? Enter the 2018 Content Marketing Awards today. Deadline to enter is April 20, 2018. What podcast will be the best in 2018? Attend Content Marketing World this September to learn which ones rise to the top. Even better, expand your podcasting and other content marketing skills by attending this educational event. Register today.